A informative Portal Of Uttarakhand on Sarkari Naukri, Exam Results, Admission Forms, Entrance Exam, Board Result, Exam Date Sheet, Interview Question, Career Knowledge and Online Forms. 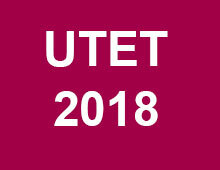 CLICK HERE to download UTET 2018 Information bulletin. 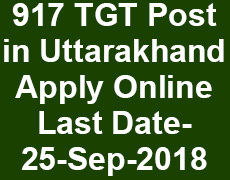 Uttarakhand Public Service Commission invites Online Application from eligible candidates for 917 vacancies of Lecturer(PGT) in Government Schools of Uttarakhand. CLICK HERE to Download UKPSC Lecturer Exam Answer Keys. Shri Guru Ram Rai Education Mission Darbar Sahib, Jhanda Sahib Dehradun, invites applications for the teaching posts in various schools located in Uttarakhand, U.P, Punjab and Delhi. Last date of receiving Application Form: 15-03-2018. Age Limit- Maximum 42 years as on 1-July-2018. CLICK HERE to Download SGRR Mission Recruitment Date Sheet May 2018 Test. 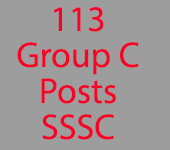 Uttarakhand Subordinate Service Selection Commission(उत्तराखंड अधीनस्थ सेवा चयन आयोग) Invites Online Application from eligible candidates for 198 Group C Posts in उद्यान एवं खाद्य प्रसंस्करण विभाग Uttarakhand (विज्ञापन संख्या- 15/उ०अ०से०च०आ०/2017). Uttarakhand Adhinasth Sewa Chayan Aayog declared the proposed Exam Schedule of written exam for various competitive Exam of Group C. Now you can prepare for your Group C Exam according Exam Schedule and syllabus. 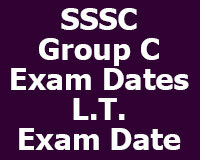 You can also download the Group C Syllabus for all Exam. For all Exam there will be only one Question paper of 100 Marks for all exam except driver(50 marks). CLICK HERE to Download UKSSSC 3rd waiting List LT 2017, Exam Date was 21-Jan-2018. Assistant Teacher LT 2014 Document Verification List for wait listed candidates. Download UKPSC Assistant Professor Second Phase document verification details Last Date 27-Aug-18. UKSSSC LT 2017 3rd waiting list.